Our Modular Reservoir Clamp is made of 6061-T6 Billet Aluminum. 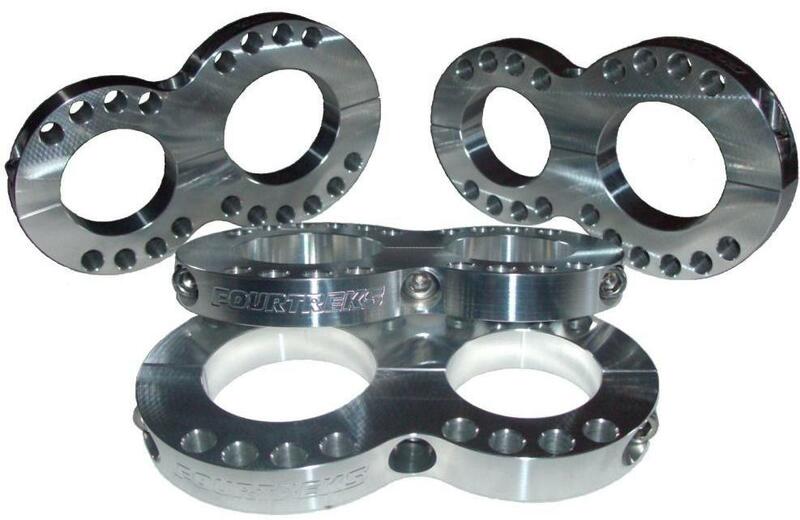 They are designed to be used with 2", 2 1/4" and 2 1/2" shock reservoirs. They can be used to mount a reservoir to your shock or tubing of your vehicle. Avaliable for many popular tubing diameters. This design uses (3) quantity socket head allen bolts for some rock solid stout mounting. This product can also be used for LEDStixx LED light bar. Use our pull down menus to pick this option along with what size tubing you want to mount the light bar to. Note: Price includes one reservoir clamp. The other three reservoir clamps pictured not included. Unlike our other products which usually ship same day if not next, there is a three to four week lead time for shipment of this product once an order has been placed.